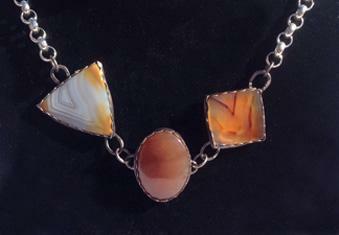 3 Agate stone necklace on sterling silver back, silver plated chain. 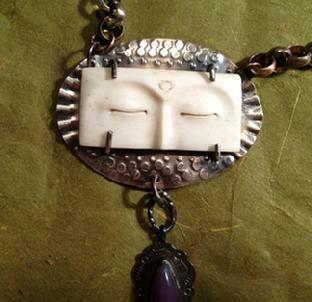 Sleeping Buda necklace on sterling silver back. With jade stone dangling. 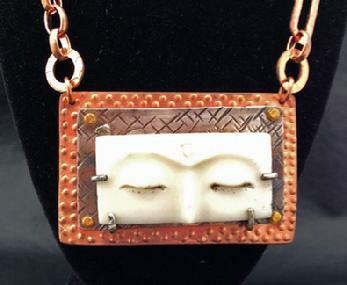 Sleeping Buda on textured copper and on textured sterling silver. Beautiful long sterling silver abstract necklace. Stones are turquoise, amber, amethyst. 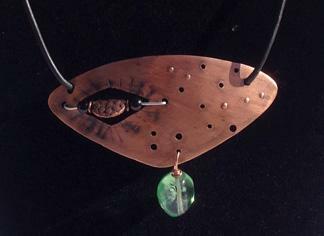 Turquoise necklace with sterling silver focal piece that is patined and textured. Stones: turquoise, amethyst, black onyx and sterling silver beads.